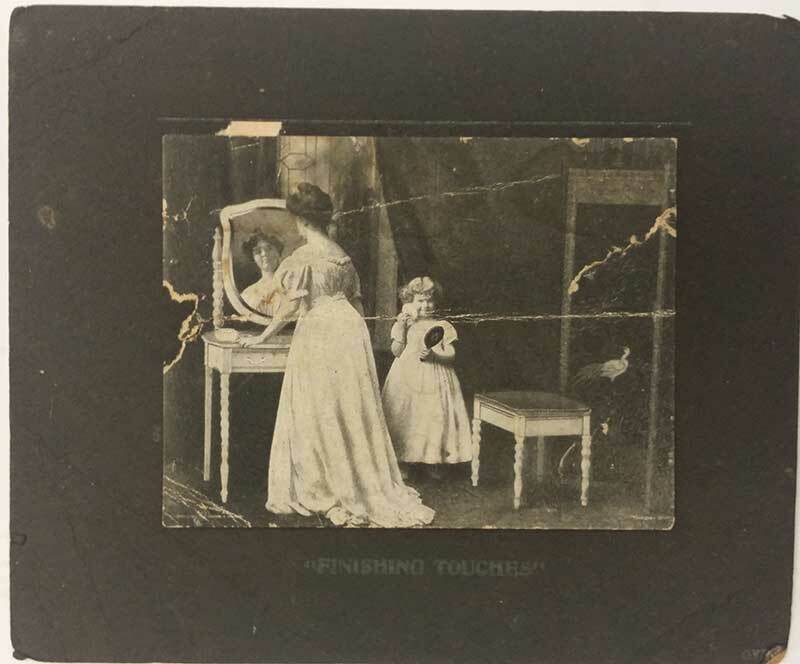 Back in September of 2014, we posted a picture of “Finishing Touches”, circa 1900, a 7×9 inch print by the Tonnesen Sisters given free by Johnson & Johnson with every purchase of their baby powder. 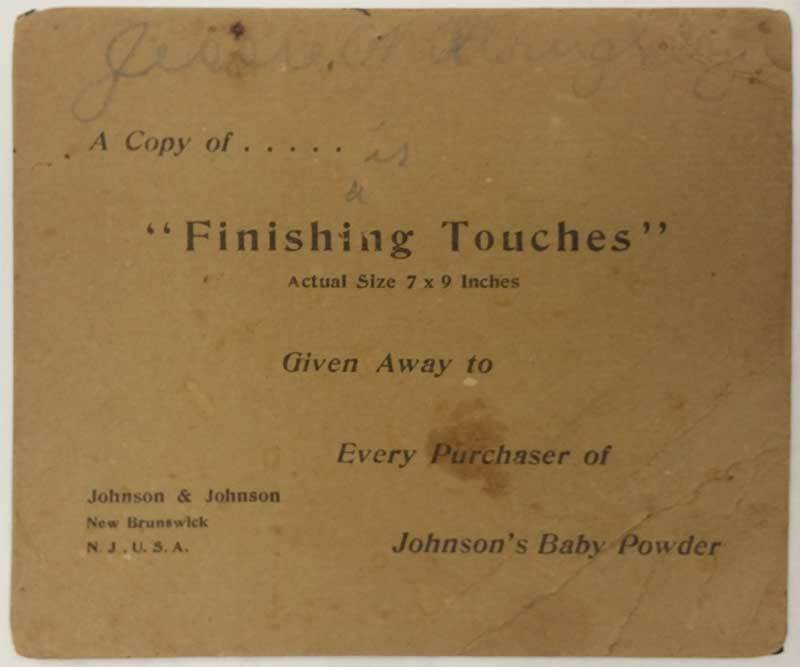 Now, thanks to site visitor Ginger Cannon, we have an example of one of the ways in which Johnson & Johnson marketed their baby powder promotion. Inside her great-grandmother’s bible, Ginger found a small (about 4×5), tattered card with a miniature version of the print on the front and information about the free offer of the full size print on the back. Ginger theorizes that her great-grandmother, Minnie Mae Willoughby Elder, had kept the card as a cherished remembrance of her sister, Jessie Willoughby, who died while a teenager. The young Jessie had signed her name to the back of the card, probably admiring it as she identified with the theme of the print in which a smiling young girl emulates her mother at her vanity table. Front and back images of the trade card are shown below. 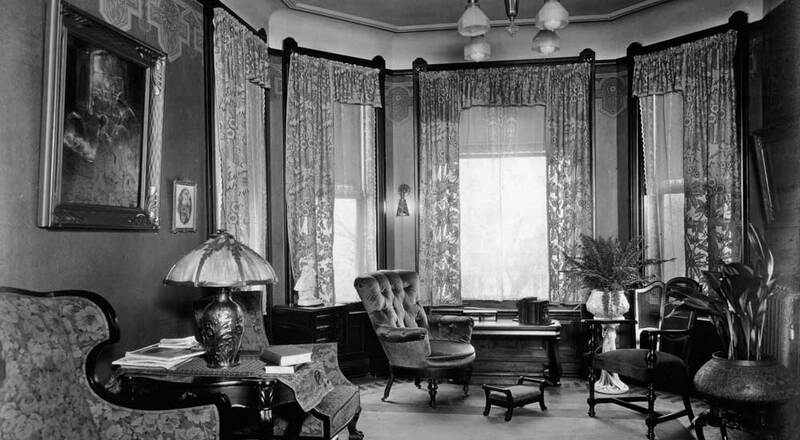 Our original post about the full-size “Finishing Touches” can be seen here.